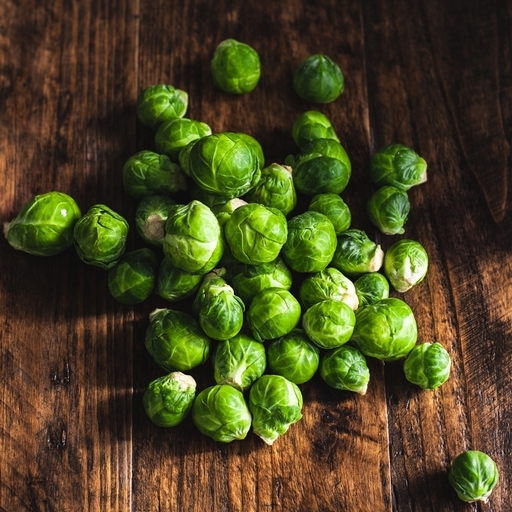 Tender organic Brussels sprouts, grown slowly for maximum flavour. A little star of the festive season. Make them sing by contrasting their slight bitterness with the sweet acidity of balsamic vinegar in a raw, shredded salad, or balancing it with cream and bacon in a rich, bubbling gratin. Treat them tenderly – boiling or steaming until cooked but still with a bit of bite. Toss with melted butter and plenty of black pepper, and perhaps a crunchy scattering of shredded bacon, toasted almond flakes or golden-fried breadcrumbs. Sprouts are also good shredded and fried like cabbage. And roasting intensifies and caramelises their flavour gloriously – mix through a dash of lemon and balsamic or sherry vinegar just before serving. Keep them in the fridge – they’ll last about a week.